Born in the town of Luna, near to Grodno, in Russian Poland, he studied in religious primary school and yeshivas. In his youth he came to Warsaw and became a follower of the Jewish Enlightenment. Over the years 1899-1915, he was living in Lodz where he worked as a merchant and later a textile manufacturer. At the same time he also wrote poetry and stories in Hebrew and published them in Hatsfira (The siren) and Hakol (The voice), among other serials. He also wrote critical treatises on Jewish literature. He was author of books in Hebrew and editor of the anthology Hazman (The times) (Warsaw, 1896). 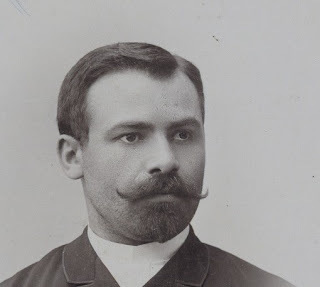 In Yiddish he published stories and poems in Lodzher nakhrikhtn (Lodz reports) in 1907, Lodzher tageblat (Lodz daily newspaper) over the years 1909-1913, and elsewhere. He died in Lodz. Sources: N. Mayzil, Perets, vol. 1 (Vilna, 1931), p. 79; Y. Ugan, in Shira ivrit (Tel Aviv, 1948); Kh. L. Fuks, in Fun noentn over 3 (New York, 1957); Encyclopaedia Judaicam p. 477.